Journalling seems to be everywhere - it’s an actual verb to describe writing a diary. Any Sunday morning instagram feed will no doubt have at least one post with a journal next to a cup of coffee and a vase of flowers. *side note, I strongly advise you not to go down the rabbit hole that is bullet journalling. I have lost hours reading about this somewhat insane and confusing way to organise your life with zero to show for it. I’ve always wanted to be one of those people who kept a journal. In school I learnt about Samuel Pepys – a complete legend whose diary from 1660 is an actual historical document. Needless to say, these kind of high lofty aspirations meant that I could never bring myself to actually keep a diary. Samuel Pepys talked about the Plague and the Great Fire of London. Chronicling my daily commute to work didn’t really compare. I completely change my perception of using a journal when I went to a recent meditation course. In the course, the teacher used journalling as a technique to clear the mind. There’s more and more evidence that doing this can be hugely beneficial, helping us to deal with excessive thinking, rumination and general stress. 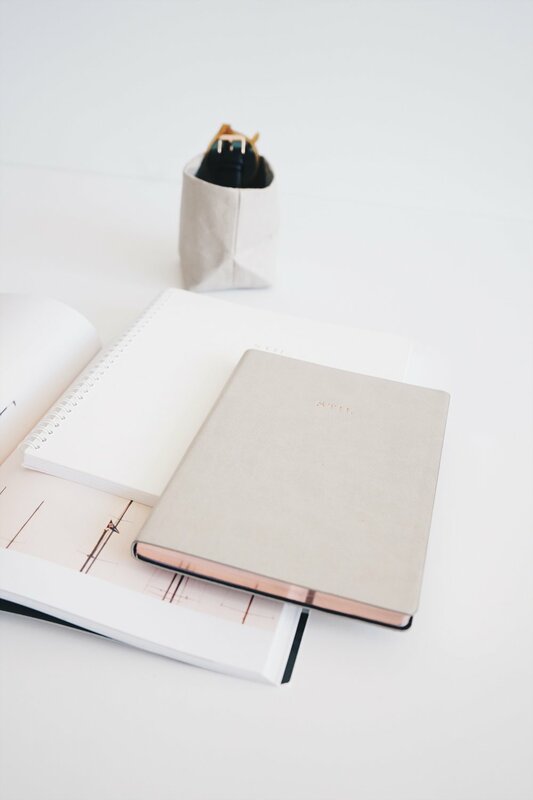 Here at five tips to help you use a diary or a journal to clear you mind and help you deal with stress. You don’t need an idyllic setting or the pefect conditions to write down you thoughts. Of course, it would be lovely to sit by the ocean listening to a steel band as you ponder life. But sometimes you just have to scribble things down as you’re sitting on a train that’s stopped for no obvious reason. This includes yourself. It can be useful to think of your diary or journal as a receptacle for word vomit. . You don’t need to have a narrative or write complete sentences. Just write anything and everything that comes to mind. Words, phrases or random thoughts. Doing this until you run out of things to say can help clear the mind when you’re particularly stressed. Re-reading something we’ve written can sometimes make us cringe. It’s what stops a lot of people from writing things down. If this is the case for you, use the page to vent your thoughts and then move on. Don't read the page again or put a line through it. Yeah yeah, we know everyone keeps telling us to keep a gratitude journal. It can be kind of annoying at times. But writing down at least one thing you’re grateful for everyday can really rewire your brain. Training your brain to think about this everyday will mean that you’ll slowly start doing it automatically. Nobody said you have to do this everyday. Do whatever suits you. Making things a chore is the first step to giving something up. UPDATE: We’re so excited to be working with design duo Paperchaing !!! It really is a meeting of the minds and we’re going to be announcing a special collaboration soon! We love 💕 their beautiful vegan, eco-friendly, biodegradable products. We interview this powerhouse duo in a blogpost, check it out ! We’re also running a giveway on instagram until midnight Saturday October 6th. Check out our Instagram page for details! The coupon code HAPPYWISEWELL is now active with 25% off all orders in their Etsy shop.